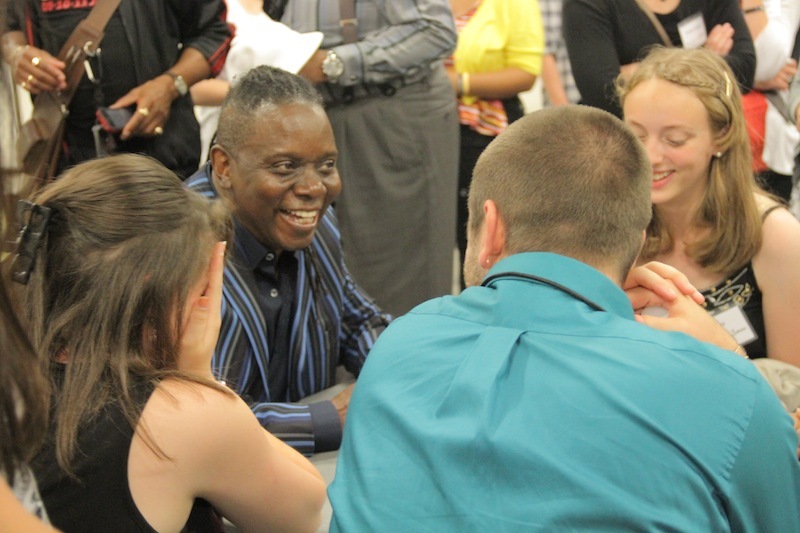 Indianapolis, IN – September 26, 2012 – – – Philip Bailey, founder of The Music Is Unity Foundation and lead singer of Earth, Wind & Fire, will host a group of local foster youth, who are represented by Child Advocates, Inc., during a performance by the legendary band on September 26. “Young people coming out of the foster care system at age 18 struggle to reach their dreams,” said Philip Bailey. “They struggle from high levels of poverty and lower levels of education. By empowering others we find solutions together.” Founded in 2007, the Music Is Unity Foundation began last year to work with the National Foster Youth Action Network to provide public education at Earth, Wind and Fire concerts throughout the United States and at special events with foster youth and youth who are ageing out of the foster care system. The Indianapolis performance is the third concert experience the two organizations have presented. Prior events took place in Dallas, TX, with the Dallas CASA (Court Appointed Special Advocates) and in Boston, MA with the Rise Above Foundation. Mr. Bailey will conduct an exclusive tour with the group of foster children prior to the concert. The tour will include a special sound check experience. Following the live concert at the Murat Theatre, the youth will meet the band backstage at a private reception with top community leaders and Janet Knipe, National Foster Youth Action Network, Executive Director. Child Advocates, Inc. is the Marion County CASA and is appointed by the Marion County Courts to represent and protect the best interests of abused and neglected children. Child Advocates is committed to advocate on behalf of the children of Marion County until every child can thrive in the safe embrace of a loving family. The Music Is Unity Foundation’s mission is to financially support agencies that provide programming that enhances the ability of foster youth to transition successfully to adulthood. A percentage of ticket sales from Earth, Wind & Fire concerts are designated for the Music Is Unity Foundation; other sources of funding include individuals and corporations. The National Foster Youth Action Network trains and empowers foster youth to take a leadership role in advocating for their interests in improving the foster care system, which governs the lives of the 423,000 foster youth in the United States. This unique approach equips youth with the skills to educate policymakers and the public about the challenges they face. Through training and coaching and their own advocacy and organizing efforts, the youth also learn skills that help them become resilient, confident, healthy, productive adults while they work to improve foster care for everyone. The National Foster Action Network is active in four states and continues to expand. Mr. Bailey will be available for interviews during the morning of September 26.